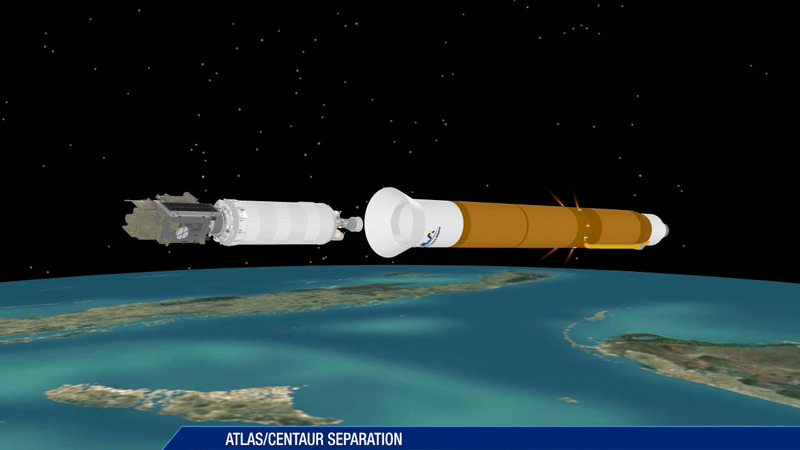 This is the launch timeline to be followed by the Atlas 5 rocket’s ascent into orbit from Cape Canaveral with the advanced GOES-R weather satellite for NASA and NOAA. 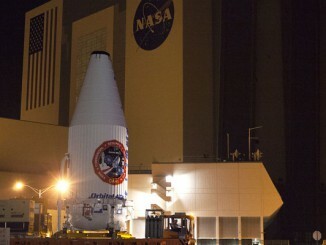 Launch is scheduled for Saturday at 5:42 p.m. EST (2242 GMT). 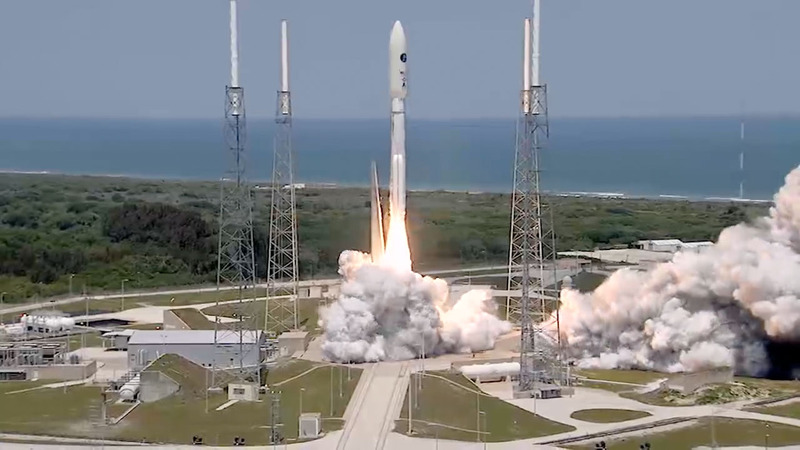 With the RD-180 main engine running, the four strap-on solid rocket boosters are lit as the Atlas 5 vehicle lifts off and begins a vertical rise away from Complex 41 at Cape Canaveral Air Force Station, Florida. 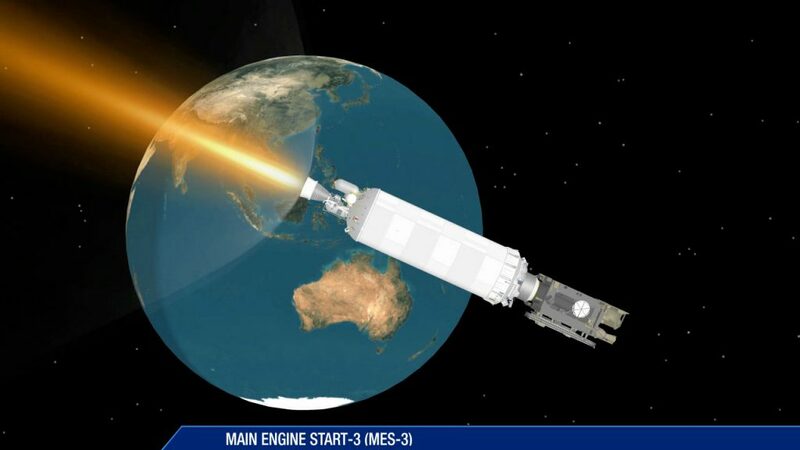 The Atlas rocket passes through the region of maximum dynamic pressure during ascent through the lower atmosphere. 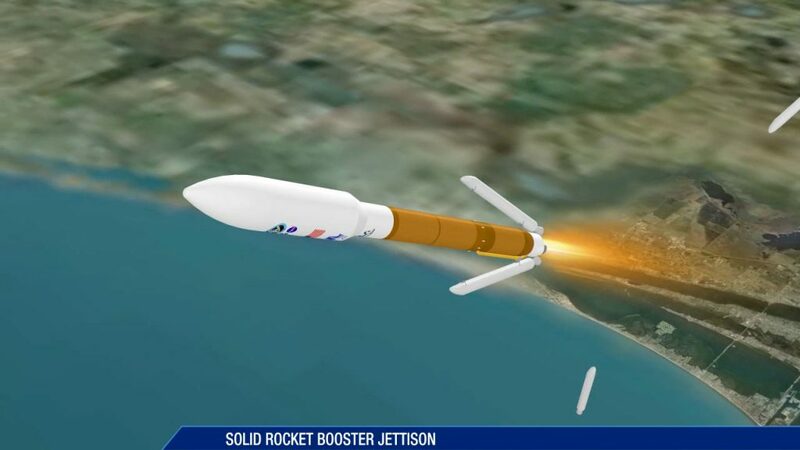 Having burned out of propellant approximately 20 seconds earlier, the spent solid rocket boosters are jettisoned to fall into the Atlantic Ocean. The separation event is staggered with two motors releasing first, then the others about 1.5 seconds later. 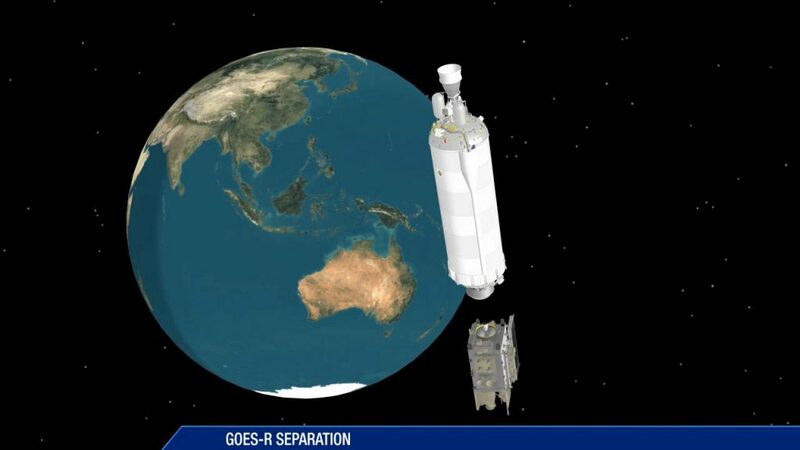 The payload fairing that protected the GOES-R spacecraft during launch is separated once heating levels drop to predetermined limits after passage through the atmosphere. 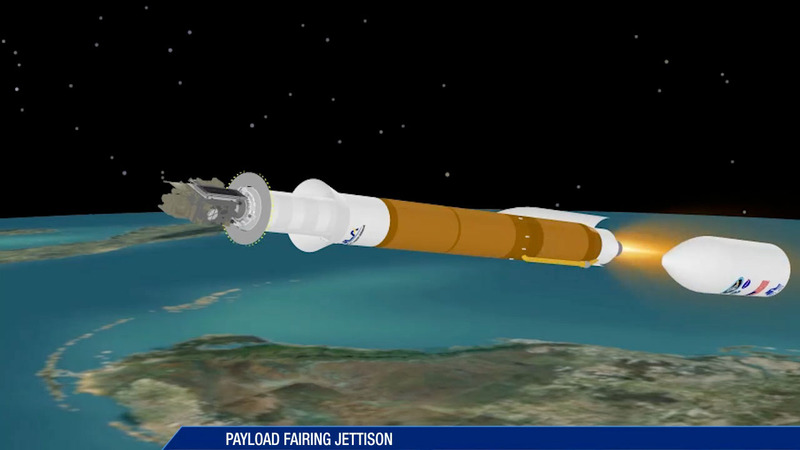 The Forward Load Reactor deck that supported the payload fairing’s structure to Centaur upper stage is released five seconds after the shroud’s jettison. 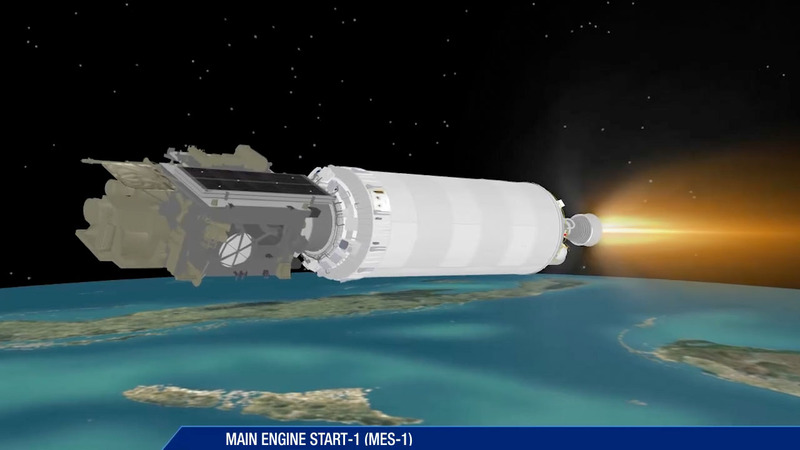 The Centaur RL10C-1 engine ignites for the first of three upper stage firings. 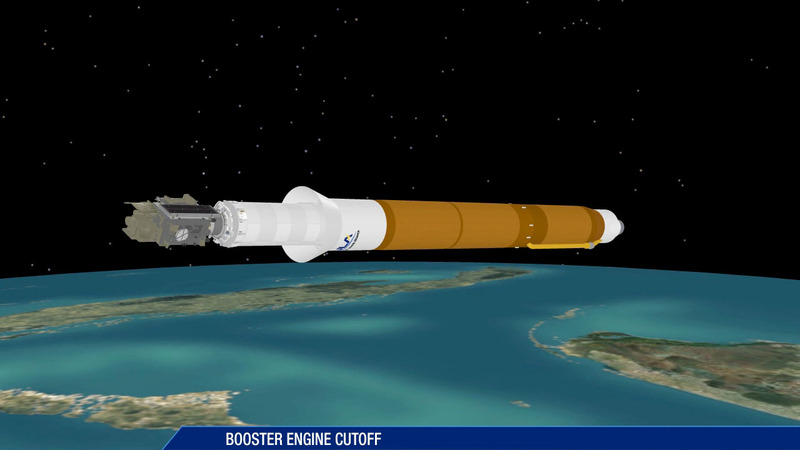 This burn will inject the Centaur stage and GOES-R spacecraft into an initial parking orbit. 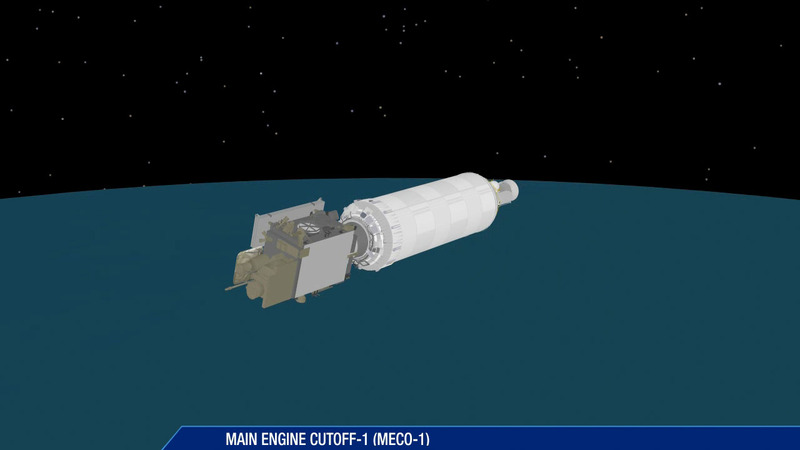 The Centaur engine shuts down after arriving in a planned low-Earth parking orbit of 104 by 336 miles at an inclination of 28.15 degrees. The vehicle enters a 10-minute coast period before arriving at the required location in space for the second burn. 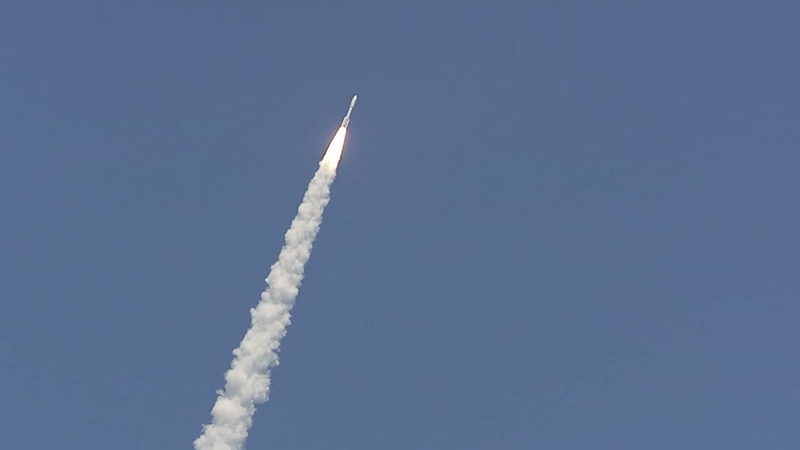 The Centaur re-ignites to accelerate the payload into a highly elliptical transfer orbit from the parking altitude achieved earlier in the launch sequence. 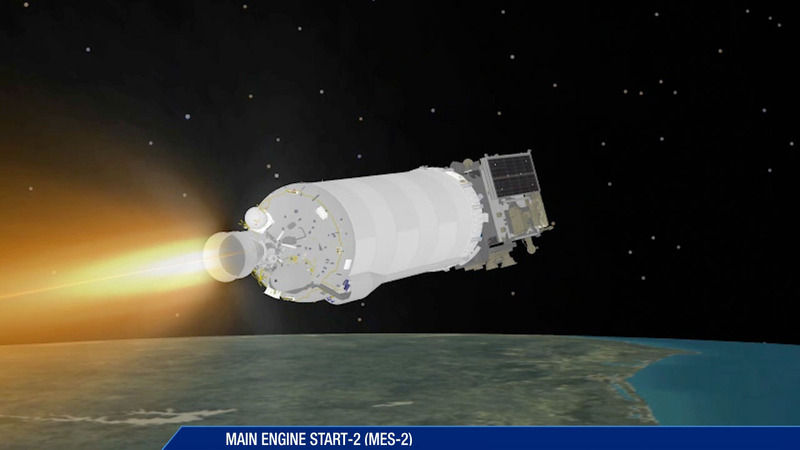 At the conclusion of its second firing, the Centaur will have ascending into an orbit of 116 by 20,330 miles at 25.68 degrees inclination to begin a three-hour coast. 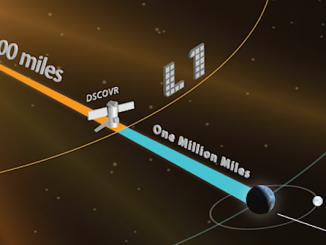 A final push by Centaur is ignited to raise the orbit’s low point and reduce orbital inclination for the GOES spacecraft. 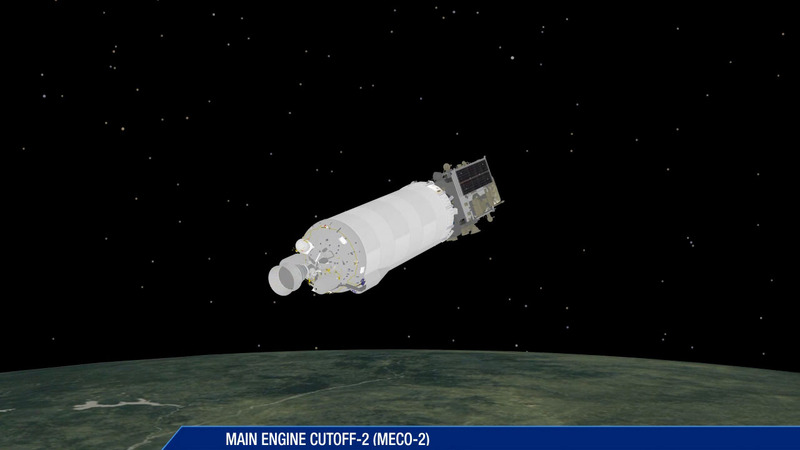 The powered phase of flight is concluded as the Centaur reaches the planned geosynchronous transfer orbit of 5,038 by 21,926 miles at an inclination of 10.6 degrees. 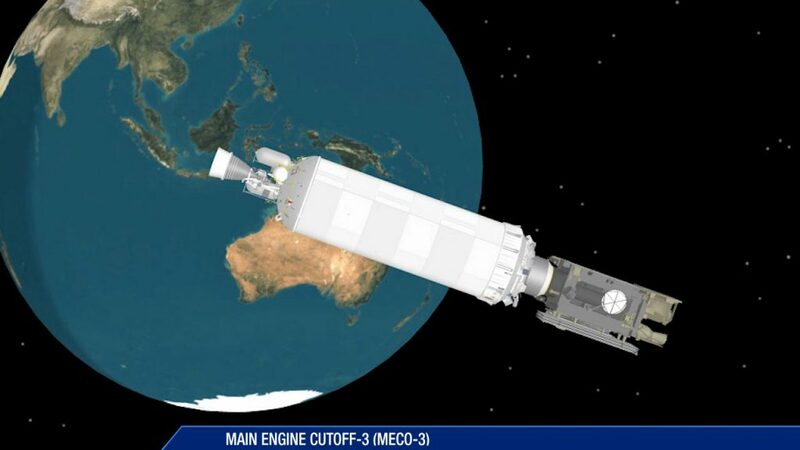 The Geostationary Operational Environmental Satellite-R, GOES-R, that promises to revolutionize weather forecasting in the U.S. is released into orbit from the Centaur upper stage to complete the launch.